are outlined in this short video presentation. 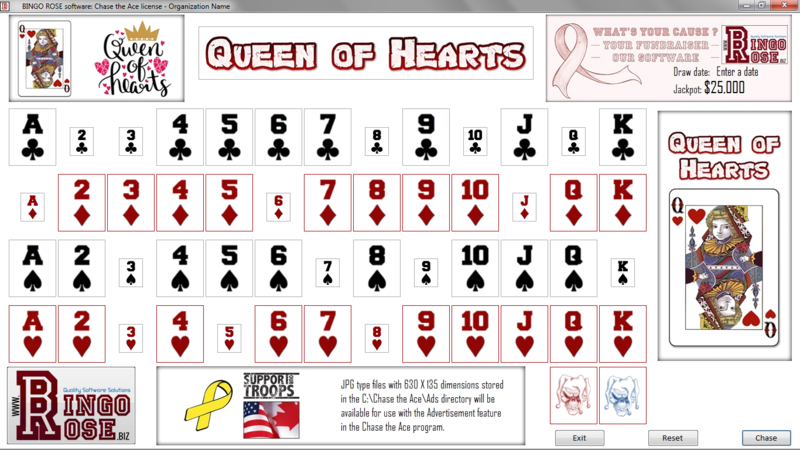 Bingo Rose has responded to customer calls to design an effective tool to facilitate the execution of a secure / transparent Chase the Ace (also known as Queen of Hearts, Crown the King, and Jig the Joker) charity event. 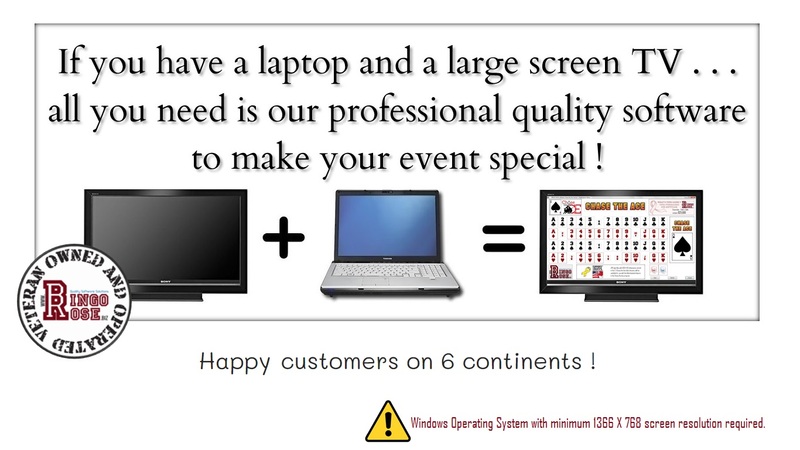 Connect your computer to a large screen TV or monitor so all patrons can clearly view your event as it unfolds. Optimized for 1366 X 768 screen resolution. Uncluttered and visually appealing screen layout. Easy access to user setup. Main screen customizable display colours for added optimization. Show or hide miscellaneous screen elements. Prominent user logo area makes the software look proprietary. Advertisement / sponsor recognition display capability. Extra main screen display space allocated for special needs. Ability to modify game name elements on main screen. 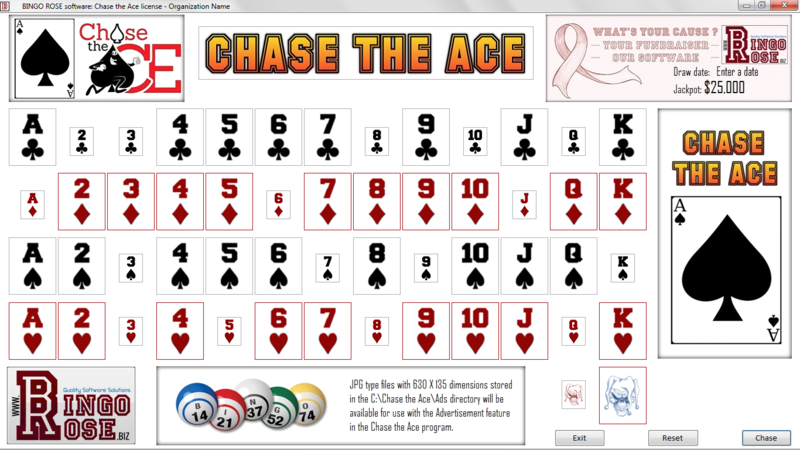 Flexibility to conduct your Chase the Ace event in creative new ways. Means to eliminate concerns over public safety and lack of facilities due to large crowds. Popup advertisement / audience participation feature. Tamper-free deck shuffling / card concealment. 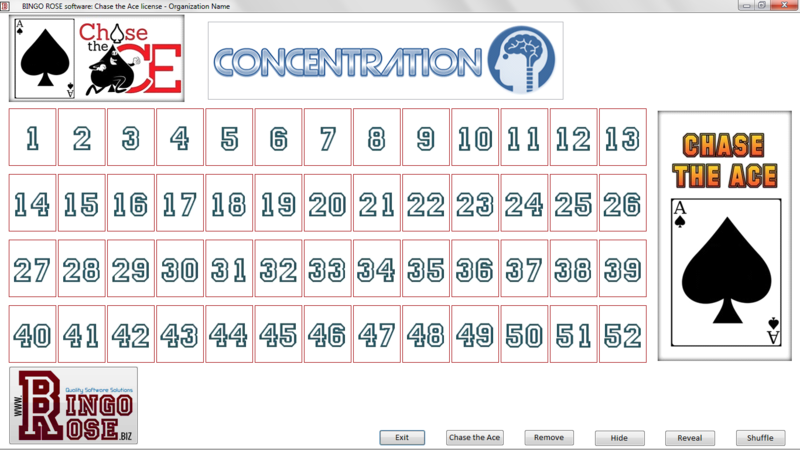 Added Concentration mind stimulation utility. Note that all Bingo Rose software requires a Windows Operating System with a minimum 1366 X 768 screen resolution. 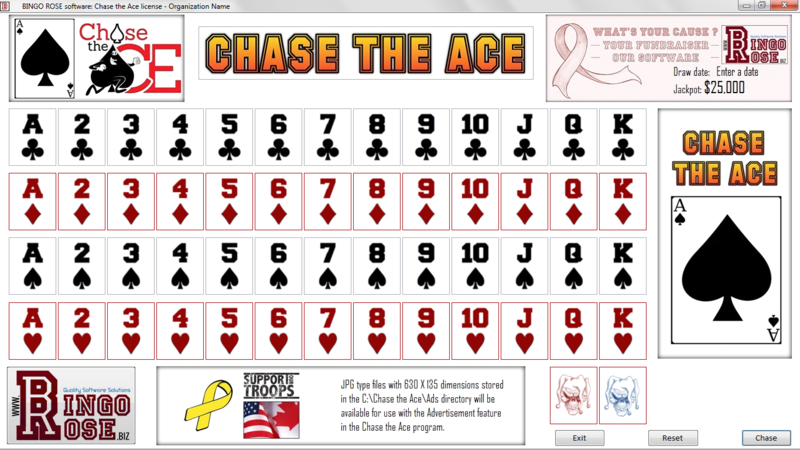 Concentration is a separate utility in the Chase the Ace software. 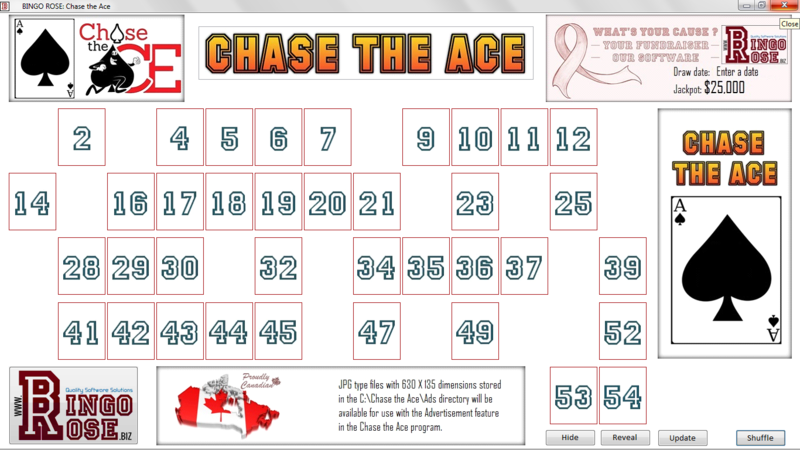 Cast the Chase the Ace software to the big screen. Bingo Rose would be pleased to offer a free 3 day demo version of this software upon request. Email your demo request to us with your contact information [name, address, phone number(s), email address, website] and the name of the organization the software will be licensed to. BUY Chase the Ace !